The race to build the world’s first functionally useful quantum computer is nearing its end. Google (NASDAQ:GOOG, GOOGL) has taken an important step toward the long-sought goal of quantum computer supremacy. At the annual meeting (March 5) of the American Physical Society in Los Angeles, the search giant presented the development of its latest 72-qubit quantum chip. Theoretically, quantum computing holds the promise of being able to solve things that are classically hard. As the battle to commercialize quantum computing technology intensifies, some companies including IBM, Intel, Microsoft, Canada’s D-Wave Systems Inc. and San Francisco startup Rigetti Computing are trying to demonstrate that their quantum systems besides being capable of vastly faster computations can also solve complex problems that are currently beyond the capabilities of even the most advanced supercomputers. Google however, thinks its new 72-qubit quantum processor, dubbed “Bristlecone”, will be the chip that reaches this “quantum supremacy” milestone. Using the counter-intuitive nature of quantum physics, quantum computers perform calculations using qubits, or quantum bits, which as the simplest units of quantum information are the quantum analog of the digital bits. 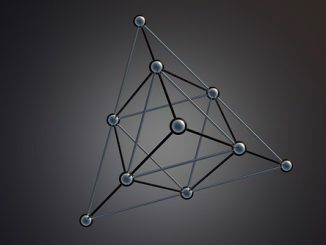 The more coherently interconnected-qubits a processor has, the more power it has to perform large-scale quantum information processing. 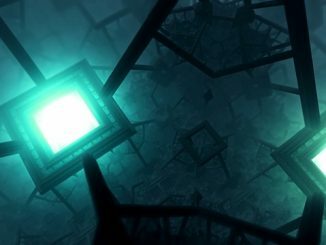 According to SingularityHub, just thirty qubits can simultaneously process more than a billion calculations. IBM recently created a prototype 50-qubit system saying they have built the most sophisticated quantum computer yet. But Bristlecone’s new design, which is a major step up from Google’s nine-qubit design in 2014, trumps IBM’s system with a whopping 72 qubit processor. 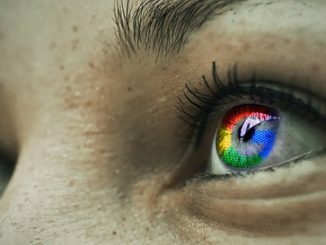 As mentioned previously, Google is one of several companies working to make functional quantum computers a reality. IBM announced its 50-qubit quantum in November 2017, and Intel unveiled a 49-qubit superconducting quantum chip called Tangle Lake in January. In spite of recent advances, today’s qubits are still unstable. What’s more, keeping them error-free, or stable enough to reproduce the same result time and time again, remains a major challenge. Google’s blog post didn’t state Bristlecone’s error rate, but the company has made it clear it strives to improve upon its previous results. Google’s best has been 0.6 percent error rate for every two qubits using its 9-qubit device. To drop the error rate for its 72-qubit processor and achieve similar performance, Google’s researchers say that apart from solving connectivity, gating and error correction-qubit issues, they need to figure out how a device such as Bristlecone can work in concert with a full stack of technology ranging from software and control electronics to the processor itself without causing errors. “Getting this right requires careful systems engineering over several iterations”, the Google team writes. Google also says that its quantum supremacy demonstration of performing calculations current classical computing can only dream of could come within a few months if everything works. Despite the difficulties, this newest announcement marks a significant moment in the field of quantum computing. By bringıng us closer to a 100-qubit system, Google’s new hardware ushers in not only the moment of quantum supremacy but also the progress toward a powerful and now new and unavoidable way of large-scale quantum information processing. How far off is that? Intel suggests we could achieve 1,000-qubit systems within 5 to 7 years.